I'm on a roll - earrings roll. Been a while since I crafted earrings but have been working on some custom orders so decided to 'continue' with the beads that I forgot I had. 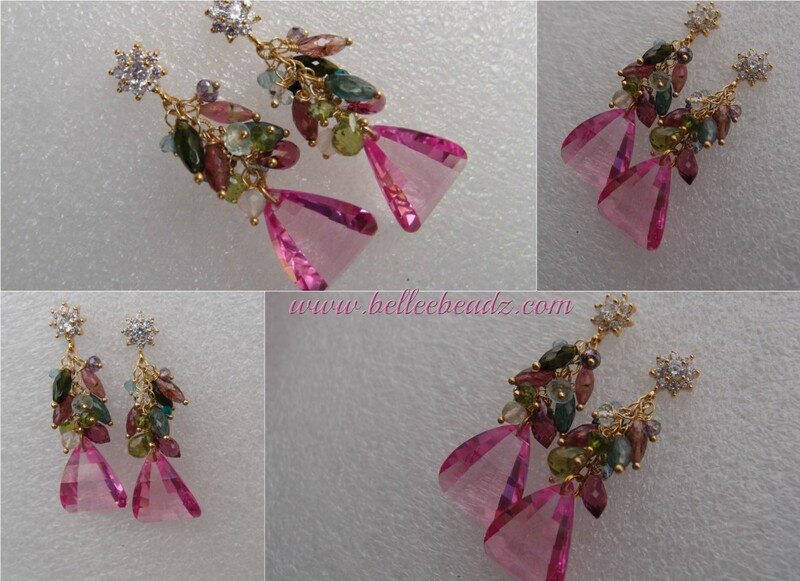 These are absolutely gorgeous, checker board, curved triangular pink topaz quartz briolettes embellished with a cascade of rice shape and rondell multi coloured tourmaline. Photo doesn't do this justice.